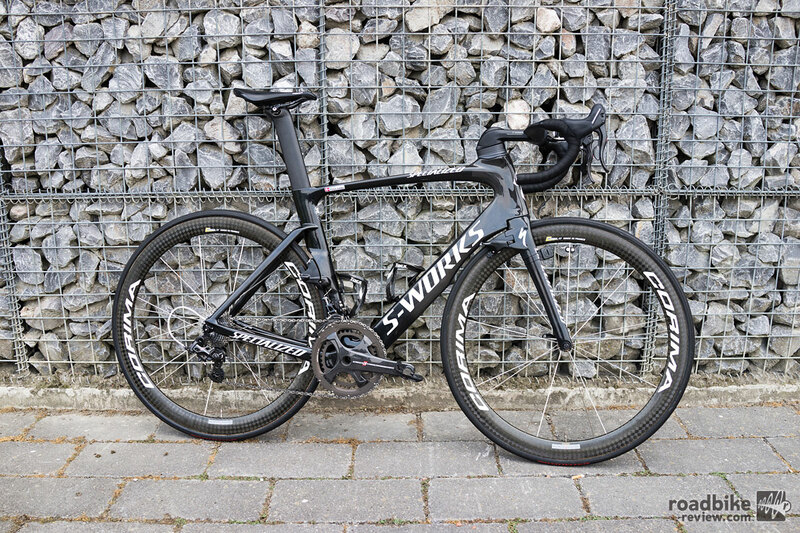 Specialized claims that when paired with the new Roval CLX64 wheels, and its new aero shoes, skinsuit and helmet, this bike can save you over 5 minutes 40km (click to enlarge). Arguably the most talked about bike leading up to this year’s Tour de France is Specialized’s new S-Works Venge ViAS aero roadster. With a host of unique proprietary wind cheating integrations and a claim that it can save a rider 2 minutes over the course of a 40km effort when equipped with the new Roval CLX64 wheels, it’s drawn major attention from all over the cycling world. Alas, it’s yet to produce a stage win in this year’s Tour. Thus far that honor belongs to BMC, Ridley, Canyon and the Venge’s more cushy cousin the Specialized Roubaix, which was piloted to stage 4 victory by current yellow jersey holder Tony Martin. Amazingly, Martin actually crossed the finish line on a borrowed bike. After suffering a puncture late in the race, the German TT specialist swapped race rigs with Etixx-Quick Step teammate Matteo Trentin rather than wait for the team car. Fortunately for Martin, the two riders were close enough in stature that it barely slowed him down. Instead, he caught back to the lead group, then soloed away for a dramatic stage win. 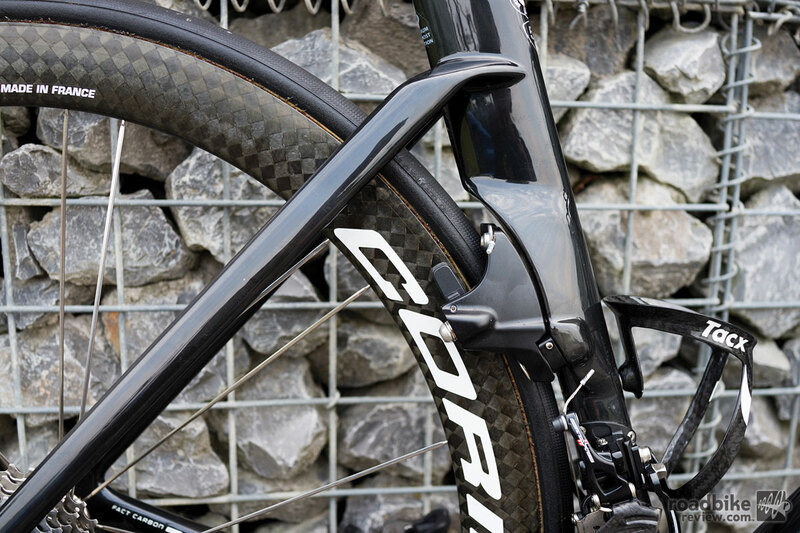 Stage 5 presented a more friendly profile for a bike such as the Venge ViAS. No rated climbs and lots of wind. Here’s a look at the rig of Astana’s Jakob Fuglsang. The level of integration is stunning. 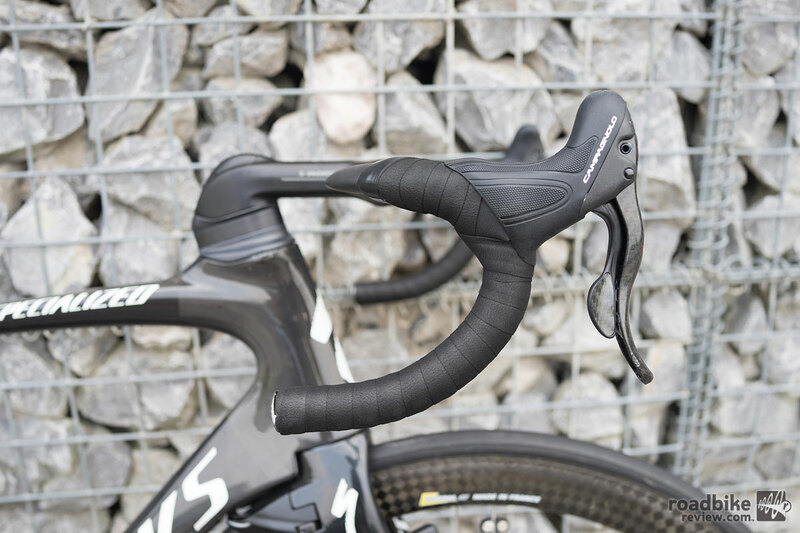 The proprietary stem helps cheat the wind and provides internal routing paths for all cables, housing and wires. There’s also seamless connection for a GPS and POV camera mount (click to enlarge). 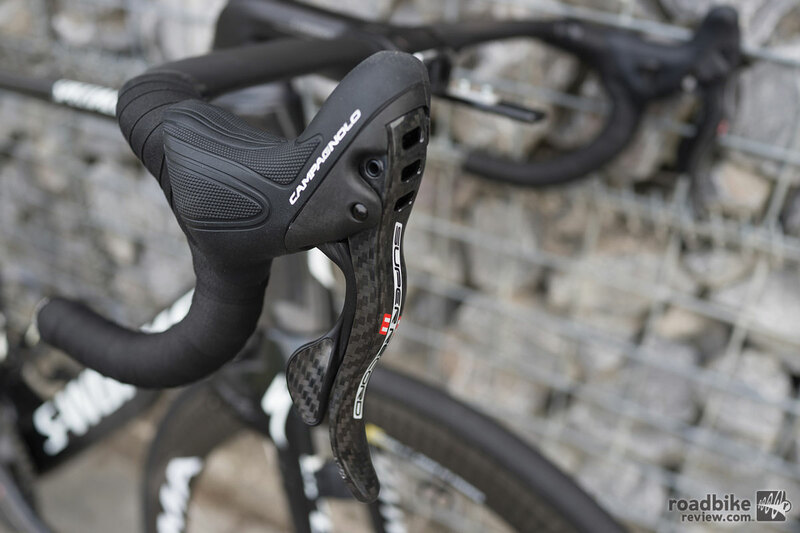 The rear brake, is tucked into the frame and is shielded from the wind by the trailing edge of the seat tube (click to enlarge). The stock S-Work Venge ViAS comes spec’d with Shimano Dura-Ace Di2, but Fuglsang and his Astana teammates run mechanical Campy Super Record drivetrains (click to enlarge). 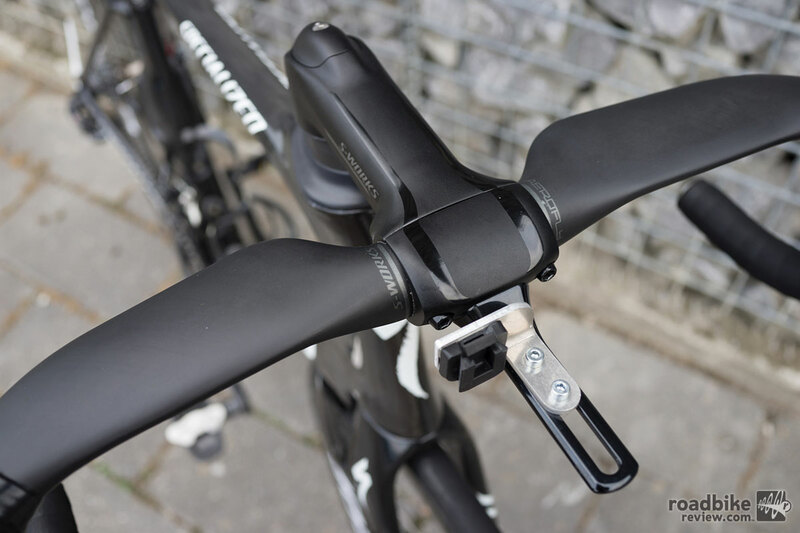 The stock stem actually has a negative 17‐degree drop for a better aerodynamic profile, while the handlebars have a positive 25mm rise to accommodate rider fit. But Fuglsang opts for the standard flat bar set-up (click to enlarge). 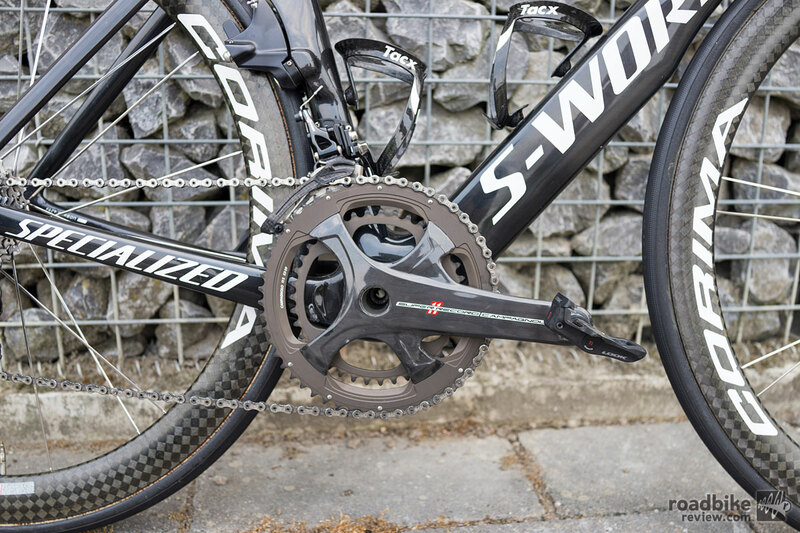 Carbon cranks are 175mm Campy Super Record, pedals are Look Keo Blade (click to enlarge).